5 Reasons why Netanyahu’s attempts to Influence the US Elections Failed! Bibi’s fundamentally mis-reading America’s political landscape. Netanyahu has inserted himself quite clumsily into the race. He recently demanded that the United States lay out specific “red lines” that, if crossed by Iran, would bring American military power to bear on the Islamic Republic (the administration has done so already, but Bibi doesn’t like them). He berrated our ambassador, Dan Shapiro, over the issue with an outburst that Alon Liel, a former Israeli foreign ministry official, characterized as “an attempt to help the Republicans in the upcoming election. The entire show… is meant to prove to the American public, and in particular to the Jewish community, that the rift between Israel and the United States is more significant and deeper than we thought.” And then last week a dubious story was leaked claiming that Netanyahu had requested a meeting with Obama only to be declined. It’s also the case that Bibi, who supposedly knows more about American politics than most American politicians, is fundamentally misreading the political landscape and, in doing so, playing a very weak hand. Here are five reasons he’s getting the picture wrong. Over the past three years, there have been dozens of breathless stories claiming that Obama was losing his hold on the Jewish vote, ostensibly because of the tensions that exist between the president and Netanyahu. And Bibi no doubt believed that to be the case – he believed that he could have a spoiler effect in Florida. But all those stories were nonsense – Jewish support declined from election night 2008 along with other Democratic-leaning groups. Obama’s post-convention “bounce” has been about those voters coming back into the fold, and Jewish voters are no exception. Among Jewish voters, Obama beat John McCain 69-25 in 2008. According to Gallup, he now leads Romney by a 70-25 margin among those same voters. If you believe AIPAC or the Republican Jewish Coalition, as Netanyahu probably does, Jewish voters place an enormous amount of weight on U.S.-Israeli relations, and are always ripe for the picking by a Republican who shows sufficient fealty toward the Jewish state or hostility for Iran. The reality is quite different. Back in March, the American Jewish Committee (AJC) released it’s comprehensive annual survey of American Jewish opinion . It asked Jewish voters to rank eleven issues by importance. Just 6 percent said U.S.-Israel relations was their top issue, and only one in five listed it among their top 3 issues. American Jews are, after all, Americans and have to live here – 29 percent said the economy was their number one issue, followed by healthcare (20 percent). Taxes, Social Security and national security all beat out Israel as issues of importance. If Jews make up the same share of the electorate in 2012 as they did in 2008 – 2 percent – this means that 0.4 percent of American voters are Jews who rank Israel among their top 3 issues. Even in Florida, they’d make up only .08 percent of the vote. According to a Pew poll last year, two-thirds of them said, “helping to protect Israel should be a very important policy goal for the United States in the Middle East” – a much higher share than among other Christian groups. What’s more, the study found that the conviction was stronger among more conservative Evangelicals – people who would never vote for Obama anyway. According to the AJC survey, just 4 percent of Jewish voters say that Iran’s nuclear program is their most important concern, and only one in seven say it ranks among their top three. When the survey was conducted in March, Obama’s overall support among Jews was 9 points lower than it is in the latest Gallup poll, but the respondents approved of how Obama has handled Iran by a 61-37 margin. Jewish Americans’ top four issues, according to the AJC survey, are the economy, health-care, taxes and national security (in that order). And while it wasn’t a top issue, Jewish voters approved of how Obama has handled the U.S.-Israeli relationship by a 58-40 margin. All of this is why Netanyahu’s attempt to drive a wedge between Jewish voters and Obama is a fool’s errand. Give Obama some credit for calling his bluff. Tags: benjamin netanyahu, minister benjamin netanyahu, ministry official, prime minister benjamin. Filed under israel and palestine articles by Father Dave on Oct 2nd, 2012. Comment. The following article appeared in the Jerusalem Post on the last day of August. Things are certainly hotting up in the war of words between Israel and Iran. According to the article, Netanyahu’s strong words are a response to the ‘anti-Semitic diatribe’ of Ayatollah Khamenei at the ‘Non-Aligned Meeting’ summit that just concluded in Tehran. Personally, I’m not sure what the term ‘anti-Semitic’ here is intended to refer to. ‘Antisemitism’ would suggest that Khamenei is condemning the Israelis on the basis of their race or ethnicity, wouldn’t it? If the reference is to the quotes from the Ayatollah’s speech that appear in the article, I can’t see anything ‘anti-Semitic’ in them. Certainly the Ayatollah is condemning the crimes committed against the people of Palestine by the Israeli government (and rightly so) but there is surely nothing racist about that in itself? Perhaps there was other material in his speech that was overtly racist? I am open to be convinced. Perhaps it’s the term ‘Zionist regime’ that is being taken as being anti-Semitic? I’m not sure. Certainly when media commentators speak of the ‘Assad regime’ in Syria they are not being accused of being racist or ‘anti-Syrian’ or wanting the country of Syria to disappear from the map. Feel free to educate me with your comments if you understand this better than I do. After two-thirds of the world’s countries listened silently Thursday to Iranian Supreme Leader Ayatollah Ali Khamenei launch an anti-Semitic diatribe against Israel at the Non-Aligned Meeting summit in Tehran, Prime Minister Binyamin Netanyahu announced he would respond at the UN General Assembly next month. “In Tehran today, the representatives of 120 countries heard a blood libel against the State of Israel and were silent. 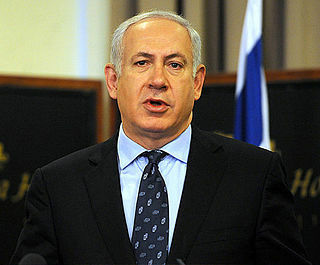 This silence must stop,” Netanyahu said. Khamenei, speaking to the NAM gathering that included UN Secretary-General Ban Ki-moon, said “an independent country with a clear historical identity called ‘Palestine’ has been taken away from its people through the use of weapons, killings and deception, and has been given to a group of people the majority of whom are immigrants from European countries. “Even now after 65 years the same kind of crimes marks the treatment of Palestinians remaining in the occupied territories by the blood-thirsty Zionist wolves. They commit new crimes one after the other and create new crises for the region,” he continued. Khamenei said the Zionists controlled the world’s media and were responsible for America’s “hateful image” in the region. “Our standpoint is that Palestine belongs to the Palestinians and that continuing its occupation is a great and intolerable injustice and a major threat to global peace and security,” he said. Khamenei called for a referendum among all the Palestinians – “both the current citizens of Palestine and those who have been forced to immigrate to other countries but have preserved their Palestinian identity, including Muslims, Christians and Jews” – to chose the country’s political system. Ban, whose presence at the parley is widely seen in Jerusalem as giving legitimacy to the Iranian regime, addressed the gathering and said he “strongly” rejected threats by one UN member state to destroy another, and “outrageous attempts to deny historical facts, such as the Holocaust. His words, however, did little to soothe Israeli anger at his very participation in the event. Liberman asked what Israel was supposed to understand from the willingness of so many world leaders to take part in the conference, and how this would impact on the future. “How can we rely on them,” he asked. “What is the meaning of international guarantees of our security?” Liberman slammed the Palestinian Authority presence at the conference. He said that a speech delivered by PA Foreign Minister Riad Maliki – accusing Israel of ethnic cleansing, apartheid and crimes against humanity – could have been written by Joseph Goebbels. Maliki said Israel had stepped up military attacks against Palestinians and the sources of their livelihood. Netanyahu, meanwhile, is scheduled to leave for the UN on September 27, immediately after Yom Kippur, and return to Israel on September 30, just before the onset of Succot. Although there has been talk of a meeting at the UN with US President Barack Obama, no meeting has yet been officially announced. Chairman of the US Joint Chiefs Gen. Martin Dempsey said Thursday that he did not want to be “complicit” if Israel chose to strike Iran’s nuclear program, saying a premature attack would dissolve the international pressure on the Islamic Republic, The Guardian reported. “I don’t want to be complicit if [Israel] chooses to do it,” he added. The White House said on Thursday that it was closely studying a UN report that showed Iran has possibly expanded uranium enrichment machines and increased stockpiles of nuclear material. “We are closely studying the details of the report, but broadly speaking it is not surprising that Iran is continuing to violate its obligations,” White House Press Secretary Jay Carney told reporters when asked about the UN International Atomic Energy Agency’s quarterly report on Iran. “As the report illustrates, we are in a position to closely observe Iran’s program,” he said. Tags: ali khamenei, ayatollah khamenei, benjamin netanyahu, diplomacy, Netanyahu. Filed under Israel and Palestine, israel and palestine articles, israel and palestine conflict, israel and palestine religious conflict by Father Dave on Sep 3rd, 2012. Comment. Is Netanyahu the reason Ban is visiting Iran? Israeli PM requested that the UN chief cancel the trip, then proceeded to launch a social media campaign to that effect; Foreign Ministry official: If we had kept it quiet, it’s possible we would have achieved better results. The pressure exercised by Prime Minister Benjamin Netanyahu on UN Secretary-General Ban Ki-moon to cancel his trip to the Non-Aligned Movement meeting in Tehran apparently boomeranged. According to blogger Colum Lynch, who provides reports and analysis on the United Nations for the Foreign Policy website, the Prime Minister’s Office campaign only convinced Ban that it was vital for him to fly to Tehran and present a peace initiative related to the nuclear crisis. About a week ago, Netanyahu called Ban to ask him to cancel his appearance at the conference in Iran. But instead of exercising discretion about his conversation with the UN secretary-general, after the call Netanyahu hurried to issue a lengthy press release, in which he detailed everything he had said to Ban on the phone. Ban’s office was furious that Netanyahu had “leaked” the contents of the conversation, and Ban’s fury only increased when he discovered that within days their conversation had morphed into an entire campaign. The Prime Minister’s Office initiated a social media drive, calling on Web surfers to send e-mails to the UN secretary-general asking him not to fly to Tehran. At the same time, a series of Jewish organizations, including the Anti-Defamation League, the American Jewish Committee and the World Jewish Congress issued press statements harshly criticizing Ban’s plan to travel to the conference in Iran. Ban’s associates were convinced that the attacks by Jewish groups had also been directed by the Prime Minister’s Office in Jerusalem. A senior Foreign Ministry official in Jerusalem said that Netanyahu’s behavior in this instance had been mistaken, and his attack on the UN secretary-general had been totally superfluous. “If we had continued making quiet contacts with Ban’s people it’s possible we would have achieved better results,” the official said. Ban will arrive in Tehran on Wednesday to attend the opening ceremony of the Non-Aligned Movement meeting. At this stage it looks as if the conference will turn into an unprecedented public diplomacy effort by Iran regarding its nuclear program. In front of the building in which the conference is to be held, the Iranians have placed the cars of Iranian nuclear scientists who have been assassinated over the past two years, killings for which Iran blames Israel. In addition, the Iranians announced that it will offer to take foreign leaders who come to the conference on a tour of the nuclear reactor at Bushehr, and also to visit other nuclear installations in an effort to prove that Iran’s nuclear program is meant solely for civilian purposes. The Iranians are also looking into organizing a tour of the suspicious military base at Parchin, where the International Atomic Energy Agency has said Iran is conducting nuclear activities with military characteristics. Tags: Ban Ki-moon, benjamin netanyahu, father roy, Iran. Filed under Israel and Palestine, israel and palestine articles by Father Dave on Aug 28th, 2012. Comment. I had the privilege of meeting Dr Muzzafar in person back in the 80’s at his home in Penang. He was a champion of human rights work even then – a passionate advocate of inter-racial and inter-religious harmony, and someone who had already been imprisoned for his stand on behalf of Christians and Muslims who were suffering injustice in his home country of Malaysia. Over the years Dr Muzzafar’s wisdom and influence has only grown! His analysis of the situation in Syria and its relation to the broader Middle Eastern struggle is as insightful as it is disturbing. Muslims and Muslim governments are angry with Bashar al-Assad. They hold him responsible for the massacre of thousands of people, many of them innocent civilians, in Syria. They want him to go. It is true that Bashar’s army has killed a lot of people. It has used excessive force — as I have pointed out in a number of articles before this. Anyone with a conscience would condemn the mindless violence that has bloodied Syria in the last 17 months. But Bashar’s violence is only one side of the story. The armed rebels opposed to him have also massacred thousands. How else can one explain the fact that almost one-third of the 17,000 people killed so far in the conflict are from the army and related security agencies? The rebels are not only well equipped with a range of weapons and communication apparatus but are also supported by logistical routes developed by the CIA and intelligence provided by Mossad. Their weapons are delivered through “a shadowy network of intermediaries, including the Muslim Brotherhood,” and “are paid for by Qatar, Saudi Arabia and Turkey.” Since April 2012, hundreds, perhaps even a few thousand, militants, some linked to Al-Qaeda and its affiliates, from Iraq, Libya, Tunisia and Jordan have crossed over into Syria to fight the Bashar government in what they perceive as a “jihad.” It is reported that out of 200 rebels captured in Aleppo recently, 70 were foreign fighters. The mainstream media in most Muslim majority states have not highlighted these aspects of the Syrian conflict. Neither have they subjected to scrutiny the authenticity of the news they carry on the conflict and the sources of the news items. As a case in point, the Houla massacre of 25 May 2012 was widely publicised all over the world as an example of the brutal, barbaric character of the Bashar government. Scores of children were allegedly butchered by his militia. A picture of a large number of dead children “wrapped in white shrouds with a child jumping over one of them” was offered as proof of the heinous crime. The picture was actually from the war in Iraq in 2003. The photographer himself, Marco Di Lauro of Getty Images, came out in the open to expose the fabrication. In fact, the Houla massacre itself was “committed by anti-Assad Sunni militants, and the bulk of the victims were members of the Alawi and Shia minorities, which have been largely supportive of the Assad”, according to the leading German daily, the Frankfurter Allgemeine Zeitung (FAZ). Houla is not the only case. A Christian nun, Mother Agnes-Mariam de la Croix of the St. James Monastery has published on the monastery’s website, an account of armed rebels gathering Christian and Alawi hostages in a building in the Khalidiya neighbourhood in Homs, and blowing it up with dynamite. The rebels then put the blame for the crime upon the Syrian army. There is also the story of Zainab al-Hosni, allegedly abducted by government forces and burnt to death. A few weeks later, Zainab appeared on Syrian television to nail the lie about her. The most widely quoted source for the alleged atrocities committed by the Syrian government is of course the Syrian Observatory for Human Rights (SOHR) which is a one man operation run by a Rami Abdul Rahman from Coventry, England. His statistics have been challenged on a number of occasions by Syrian analysts who have shown why his reporting is unreliable. Syrian conflict by condemning only the government while exonerating the armed rebels. A few states such as Algeria, Kazakhstan and Pakistan called for a balanced statement from the summit that would also apportion blame upon the armed opposition but their plea was gnored. Worse, Syria which was suspended from the OIC at the summit was not even invited to the meeting and given a chance to defend itself. It was denied the most elementary principle of natural justice. It is a right that is fundamental to Islamic jurisprudence. Why has the Muslim world as a whole, especially its elites and its intelligentsia, adopted such a blatantly biased and starkly unjust position on Syria? Is it because many are ignorant of what is really happening in that country, given the orientation of the mainstream media? Or is it because Muslims revere the Saudi monarch so much — he is after all the custodian of the two holy mosques— that they are convinced that in seeking the elimination of Bashar al-Assad he is doing what is morally right? Or is it because many Muslim elites are beholden to Saudi wealth — and Qatari largesse —- that they are prepared to acquiesce in their wishes? Or is it also because of certain sectarian sentiments that Muslims appear to be incensed with the Bashar government? It is these sentiments that I shall now explore. For many months now a segment of Sunni ulama (religious elites) in Saudi Arabia, Qatar and certain other states have been attacking Bashar as an Alawite leader who is oppressing the Sunni majority. Since Alawites are a branch of Shia Islam, the target has been Shia teachings and the Shia sect. Given the standing of these ulama, their vitriolic utterances have succeeded in inflaming the passions of some Sunni youth who view Bashar and his circle as infidels who should be fought and defeated at all costs. Even the spiritual guide of the Muslim Brotherhood, Sheikh Yusuf Al-Qaradawi, has now joined the bandwagon and accuses Shias of theological deviance and malpractices. It is important to observe in this regard that in the context of Syria there is no rigid Shia-Sunni dichotomy. The Sunnis given their numerical strength dominate the army, the public services and the private sector. Some of the most critical positions in Syrian society are held by Sunnis. The Grand Mufti of Syria for instance is a Sunni of the Shafie doctrinal school. Indeed, sectarian, or for that matter, religious affiliation has very little weight in society. In many ways, Syria is a society that has sought to de-emphasise religious and sectarian loyalties and nurture a notion of common citizenship. Since the beginning of the conflict, it is the Western media that have been preoccupied with the so-called Sunni-Shia divide and appear to be deliberately stoking sectarian sentiments. The Arab media has followed suit. The way in which Sunni-Shia sentiments are now being manipulated convinces me that geopolitics rather than sectarian loyalties is the motivating force. If sectarian loyalties are really that important, how does one explain the close ties that the Sunni Saudi elite enjoyed with the Shia Shah of Iran, Reza Pahlavi, in the sixties and much of the seventies? Was it because the Shah was the gendarme of the US and the West in the Persian Gulf and an ally of Israel? Was this the reason why the Saudis could get along so well with the Iranian elite? Isn’t it revealing that it was only when the Shah was ousted in a popular revolution in 1979 and the new Islamic leaders of Iran rejected American hegemony over the region and challenged the legitimacy of the Israeli entity, that Saudi relations with Iran took a turn for the worse? US Arab states with the notable exception of Syria. Needless to say the US and other Western powers aided and abetted this anti-Iran coalition. It was during this time that anti-Shia propaganda was exported from Saudi Arabia to Pakistan and other parts of South and Southeast Asia. Groups within the Shia community also began to respond to these attacks by churning out their own anti-Sunni literature. In spite of the relentless opposition to it, Iran, much to the chagrin of its adversaries in the region and in the West, has continued to grow from strength to strength, especially in the diplomatic and military spheres. One of its major achievements is the solid link it has forged with Syria, on the one hand, and the Hezbollah in Lebanon, on the other. It is the most significant resistance link that has emerged — resistance to Israel and US hegemony— in West Asia and North Africa (WANA) in recent decades. Israel, the US and other Western powers such as Britain and France, and actors in WANA like Saudi Arabia, Qatar and Turkey, are worried. The Iran helmed resistance has increased their apprehension in light of five other related developments. One, Iran’s nuclear capability. Though Iranian leaders have declared on a number of occasions that they regard the manufacture and use of a nuclear bomb as haram (prohibited), there is no doubt that the country’s nuclear capability has been enhanced considerably in recent years. Two, the inability of Israel to defeat Hezbollah and gain control over Lebanon which it regards as its frontline defence. This was proven again in 2006 and today Hezbollah is in a more decisive position in Lebanese politics than it was six years ago. Three, the Anglo-American invasion and occupation of Iraq in 2003 and the introduction of electoral democracy which has led to the rise of Shia political power. Shia political elites in Iraq are by and large inclined towards Iran, which the US sees as a huge setback for its hegemonic ambitions in the region. Four, the Arab uprisings, especially those that are mass based, like in Tunisia and Egypt, have raised questions about the shape of democratic politics in the region in the coming years. Will it give rise to the emergence of Islamic movements that challenge the legitimacy of Israel, US hegemony and the role of feudal monarchies in WANA? Or, would it be possible to co-opt the new Islamic actors into the status quo? Five, how will all these changes unfold in a situation where US hegemony is declining? How will Israel and the other states in WANA that are dependent upon US power for the perpetuation of their interests fare when the US is no longer able to protect them as it did in the past? For Israel in particular all these developments in WANA portend a less secure neighbourhood. Total control and predictability are crucial elements in Israel’s notion of security. It is because of its obsession with security that guarantees control over its neighbourhood that it is determined to break the link between Iran, Syria and the Hezbollah. It reckons that if Bashar is ousted that link would be broken. More than endorsement from within the region, what Israel has always been confident about is the patronage and protection of the US and most of Europe. On Syria, and in the ultimate analysis, on Iran, the Israeli political and military elites know that the centres of power in the West share its diabolical agenda. Indeed, it is Israel that determines the US’s position on critical issues pertaining to WANA. It is the tail that wags the dog. Israel’s relationship with a major Arab state like Saudi Arabia, (with whom it has no formal diplomatic ties) on the one hand, and the US, on the other, tells us a great deal about who is in charge of who. The Kenyan- American scholar, Professor Ali Mazrui, once described the Saudi-US nexus this way: the problem with the custodian of the Holy Mosques is that there is a custodian of the custodian. If I may add, since it is Israel that decides US foreign policy in WANA, it may not be inaccurate to say that there is a custodian of the custodian of the custodian. 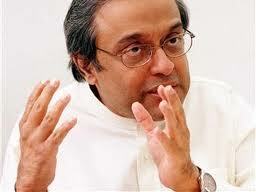 Dr. Chandra Muzaffar is President of the International Movement for a Just World (JUST). Tags: Bashar al-Assad, benjamin netanyahu, injustice, saudi arabia. Filed under Israel and Palestine, map of israel and palestine by Father Dave on Aug 24th, 2012. Comment. August 11, 2012 “Times of Israel” –– Prime Minister Benjamin Netanyahu and Defense Minister Ehud Barak have “almost finally” decided on an Israeli strike at Iran’s nuclear facilities this fall, and a final decision will be taken “soon,” Israel’s main TV news broadcast reported on Friday evening. Channel 2 News, the country’s leading news program, devoted much of its Friday night broadcast to the issue, detailing the pros and cons that, it said, have taken Netanyahu and Barak to the brink of approving an Israeli military attack despite opposition from the Obama administration and from many Israeli security chiefs. Critically, the station’s diplomatic correspondent Udi Segal said, Israel does not believe that the US will take military action as Iran closes in on the bomb. The US, the TV report said, has not provided Israel with details of an attack plan. President Obama has not promised to attack Iran if all else fails. Conditions cited by Defense Secretary Leon Panetta for an American attack do not calm Israeli concerns. And Obama has a record of seeking UN and Arab League approval before action. All these factors, in Jerusalem’s mind, underline the growing conviction of Netanyahu and Barak that Israel will have to tackle Iran alone, the TV report said. Israel’s leaders have also noted that president George W. Bush vowed repeatedly that North Korea would not be allowed to attain a nuclear weapons capability — a vow that proved empty. Obama does not want to intervene militarily before the presidential elections in November, and it is doubtful that he would act afterwards, runs the Israeli assessment, the TV report said. Obama may believe that the US can live with a nuclear Iran, but Israel cannot, the report quoted those in “Netanyahu’s circle” as saying. As for presidential challenger Mitt Romney, he takes a more forceful position, but would probably not have the domestic support necessary to act in the first year of his presidency, if elected, and after that it would be too late. Netanyahu, for his part, “is convinced that thwarting Iran amounts to thwarting a plan to destroy the Jewish people,” Channel 2′s Segal said. The prime minister considers Iran’s spiritual leader Ayatollah Ali Khamenei to be acting rationally in order to achieve “fanatical” goals. Segal said that, when considering the imperative to attack, Netanyahu and Barak reason that “we may have reached the moment of truth” after which it would be too late to stop Iran, and that “the price of an attack is far lower than the price of inaction.” It will be “a matter of a few months” before it is too late, Segal said — before, that is, Iran would be immune from damage by an Israeli strike. The TV report cited intelligence information suggesting that Iran “is much further ahead” than previously thought in its uranium enrichment and in other aspects of its nuclear weapons program. Netanyahu was reported to have said in private conversations that “if no one attacks, Iran will get the bomb” — underlining that he does not believe sanctions will thwart Tehran. The extensive TV report detailed what it said was the Israeli leadership duo’s thinking on the military, diplomatic and economic consequences of an Israeli strike, and the consequences of Iran getting the bomb. Militarily, an Israeli strike would prompt missile attacks on Israel, attacks by Hamas and Hezbollah from the south and the north, and upheaval on the Arab street, in the leadership’s assessment. The assessment is that Syria’s President Bashar Assad would not get involved, since this would finish him off, the report said. But if Iran got the bomb, the missile threat would be escalated, Hamas and Hezbollah further empowered, and there would be a danger of any crisis escalating into a nuclear crisis. Diplomatically, an Israeli strike would prompt a confrontation with the US, global protests, international isolation for Israel, delegitimization, and a situation in which Israel was seen as the aggressor. But if Iran got the bomb, Israel would be defeated and humiliated diplomatically, and would become a liability to the US, the TV report said Israel’s two key leaders believe. Economically, an Israeli strike would deepen the economic slowdown and lead to a suspension of foreign investment. An Iranian bomb would end foreign investment in Israel, however, and prompt an exodus of Israel’s best brains. Netanyahu and Barak were said to believe that an Israeli military strike, though opposed by Washington, would not shatter ties with the US. Survey figures that have impacted their thinking suggest significant US support for an American and for an Israeli strike on Iran, the TV report said. Israel would not be planning to draw the US into a war with Iran by striking at Iran’s nuclear facilities, the report said. And Israel does not believer an attack would prompt regional war. The TV report made much of a recent speech by Netanyahu, at the scene of Sunday’s terror attack thwarted by Israel at the Gaza-Egypt-Israel border. Visiting the area on Monday, Netanyahu said Israel “must and can” only rely on itself to safeguard its security. “It becomes clear time after time that when it comes to the safety of Israeli citizens, Israel must and can rely only on itself. No one can fulfill this role except the IDF and different Israel security forces of Israel, and we will continue to conduct ourselves in this way,” Netanyahu said. Tags: benjamin netanyahu, prime minister benjamin. Filed under Israel and Palestine, israel and palestine articles by Father Dave on Aug 12th, 2012. Comment.